∫ Sacandaga Valley Arts Network Artists’ Gallery Fall Exhibit: Fulton County Visitor Center, Routes 29 and 30, Vail Mills. Free and open to the public. Gallery is open weekends. ∫ Larry VanAlstyne, photographer and sculptor: Micropolis Cooperative Art Gallery, 30 N. Main St., Gloversville. Micropolis member artists work will include paintings, drawings, photographs, fiber art, batik, mixed media, woodwork, glass, digital art, sculpture, jewelry and pottery. The gallery, inside Mohawk Harvest, is open from 8 a.m. to 7 p.m. Monday through Friday; from 8 a.m. to 5 p.m. Saturday; and from 9 a.m. to 4 p.m. Sunday. The show will run through February. For more information, go to www.MicropolisGallery.com. ∫ Through the lens photography group artwork: Frothingham Free Library, 28 W. Main St., Fonda. The group, created through the Liberty Through the Arts Program, will be on display during the library hours through January. 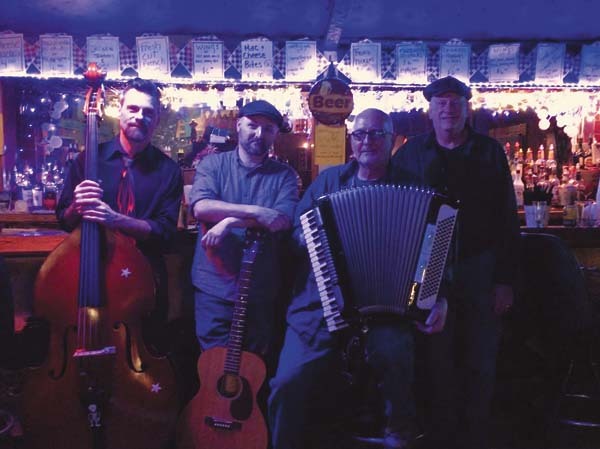 ∫ George Boone Blues Band: Mayfield Grill, 8 School St., Mayfield, 2 p.m. No cover. ∫ Sylvia Bloom — Chamber Music: Gloversville Community Music, 40 N. Main St., third floor, Gloversville, 3 p.m. Tickets available for $10 pre-sale and $15 at the door. The pre-sale tickets will be made available at the Mohawk Harvest Cooperative Market, 30 N. Main St., and the Fulton-Montgomery Regional Chamber of Commerce, 2 N. Main St., both in Gloversville. ∫ Dominick Cox of Driven11: Baptist Church of Northville, 111 N First St., Northville, 6:30 p.m. Free concert. ∫ Line dancing: Sharp Shooters Billiards and Sports Pub, 35 E. Main St., Amsterdam, 7 p.m. All-request dancing after lesson until 10 p.m. $6 cover. Lesson and music provided by Sue Kaupelis. ∫ Bobby “Badfinger” Motyl: Lakeside Tavern and Marina, 306 Woods Hollow Road, Gloversville, 6 p.m. No cover. ∫ Aaron Mittler: Partner’s Pub: 21 S. William St., Johnstown, 7 p.m. No cover. ∫¯ DJ Moore 2 Music: Mayfield Grill, 8 School St., Mayfield, 8 p.m. No cover. ∫ Shakedown: Mayfield Grill, 8 School St., Mayfield, 9 p.m. No cover. ∫ Jukebox Nelly: Murphy’s Irish Pub, 160 W. Fulton St., Gloversville, 9 p.m.
∫ Doc Orloff Trio: Snowed Inn, 375 Midline Road, Amsterdam, 8 p.m.
∫ The Insolent Willies: Patricia’s, 32 S. Perry St., Johnstown, 8 p.m.
∫ DJ Chris: Murphy’s Irish Pub, 160 W. Fulton St., Gloversville, 9:30 p.m.